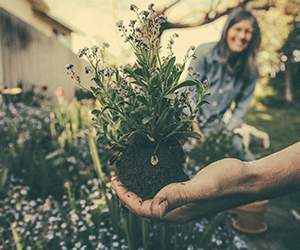 Are you a professional gardener? Or perhaps you just love nothing more than pottering about tending to your plants on a summer's day? With a Harrod Horticultural voucher, you can enjoy great savings on a wide range of gardening tools and accessories. So whether you've got acres of grounds to look after or just a little window box, a Harrod Horticultural discount code will save you money while you shop. Part of a growing empire that started life manufacturing fishing nets in the 1950s and grew to become the leading UK sports equipment provider, Harrod Horticultural has channelled the company's many assets into a successful gardening supplies venture. Formed in 2000, they're now one of the country's favourite manufacturers of gardening tools an accessories, designing and creating innovative products that are made at their site in Lowestoft, UK. At Harrod Horticultural keen gardeners and amateurs alike can find a fantastic range of products to help them get the most out of their gardens. Starting from scratch? 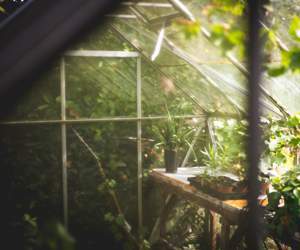 There's plenty to assist you in building the garden of your dreams, from everything you need to create a pond or water feature to structures like greenhouses, raised beds and more. Need help maintaining your garden? You'll find lots of tools and products designed to make your life easier, from basics like trowels, spades and hoes to more advanced items like harvesting tools. Harrod Horticultural also offers a selection of products for the more professional gardener, whether you're a keen grower wanting to create the perfect conditions in which bulbs can flourish or a small-holding owner looking for the ideal chicken coup for your land. Not sure what you need? A team of experienced and knowledgeable staff are always on hand to answer any queries and help you choose the right products for your garden. Harrod Horticultural believes in being friendly to the environment, and stocks everything you need to live a life that's lower in consumerism and waste and higher in happiness and satisfaction. With everything from jam making equipment and apple presses to structure that encourage birds and bees into your garden, there's something to suit every budget and taste. And once you've found the product that's right for you, their speedy delivery service will ensure you receive your order in record time. Want to get shopping with Harrod Horticultural? With a Harrod Horticultural voucher you can enjoy fantastic savings on their wide range of gardening tools and accessories. So whether you're just getting started or you've been gardening for years, a Harrod Horticultural promotional code will help you get the garden of your dreams for less. 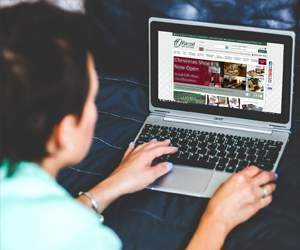 Browse our website until you find a Harrod Horticultural voucher that suits you, then navigate to their website to begin shopping. Enter your Harrod Horticultural promotional code in the box provided and click 'Apply'. If you've enjoyed shopping at Harrod Horticultural, you might also like to check out more great deals on gardening supplies at stores like B&Q and Homebase. Or, if those aren't right for you, you'll find plenty more stores to browse in our Home and Garden section. Enter your Harrod Horticultural voucher in the box provided and click 'Apply'. Enter your delivery address and click 'Proceed to payment'. If you need to return a product for any reason to Harrod Horticultural, you can do so by simply returning your items in their original packaging within 14 days for a full refund. Need to contact the team at Harrod Horticultural? Whether you have a question about your order, want to ask the experts for advice about your garden or simply want to find out more about making big savings with a Harrod Horticultural promotional code, you can contact the Customer Services department by telephoning 0845 402 5300. Want to find out more about what's happening behind the scenes with Harrod Horticultural? Why not follow the company across all your favourite social media sites? You'll find lots of fun content including promotions, competitions, gardening gossip and much more. You can also use these channels to find out more about saving money with a Harrod Horticultural voucher. Don’t forget to check them regularly, as you can never be sure when a free Harrod Horticultural discount code might be waiting for you! Buy now online at www.harrodhorticultural.com. I love pottering about in my garden, but getting all the right kit can be expensive. That's why I was delighted to discover a Harrod Horticultural voucher online. 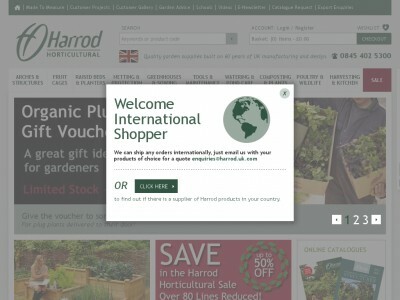 At harrodhorticultural.com they've got a fantastic range of gardening tools and accessories – all available at a discount with a Harrod Horticultural discount code. I used my Harrod Horticultural promotional code to get an amazing deal on a new set of garden tools, and I even saved enough to splash out on a raised bed! If you've got green fingers, see what you could save with a Harrod Horticultural voucher.